Hilarious, bumbling-fumbling comedy, dazzling magic and loads of audience participation! Bumbling Bert will have your children utterly enchanted – even your youngest children will be pointing and shrieking with delight. The room will be filled with bursts of giggles and chortles of laughter as Bert shocks and amazes the entire crowd with his silly, zany whirlwind of jokes and magic. Andy’s love of music has led him to write lots of original songs. His family (including the pets) and friends have been a key source of inspiration for the songs he writes. He also likes to learn to sing and play songs written by other people. Andy likes it best when the kids, moms, dads, grandmas, grandpas and all other members of the family get involved. So, with Andy G & Friends performing you are sure to hear songs that everyone will enjoy and can join in. 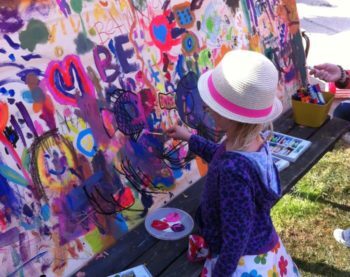 Everyone can participate in making art at ArtsFEST! 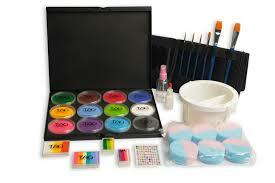 Join the fun making crafts led by professional artist and educators. Try your hand on a Potters Wheel, paint, sculpt and draw. There’s loads to do in the Family Zone. Ever wanted to be a tiger, a butterfly or Spiderman? Let Roberta get you one step closer. ArtsFEST welcomes her back with her unique talent for creating whimsical designs and bringing her special talent for a work of art on your very own skin. The Library in Waterdown is open on a Sunday! 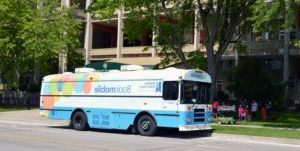 ArtsFEST welcomes the Hamilton Public Library’s Book Bus. Step inside and have a browse or enjoy a storytime lead by one of our Librarians.